Sometimes all you want to do is to escape your life for just a couple of days and clear your mind with something different, something magical. Book one of our Egypt tour packages and cast your eyes on some of the most majestic destinations, you will ever witness. Listen to the enchanting calling of all extraordinary monuments in Cairo such as the Great Giza Complex, Salah El Din Citadel, the Egyptian Museum and many more. Board one of our phenomenal Nile cruises across the lifestream of Egypt, and don’t miss the chance to pay a visit to the mesmerizing cities of Luxor and Aswan where time stands still. 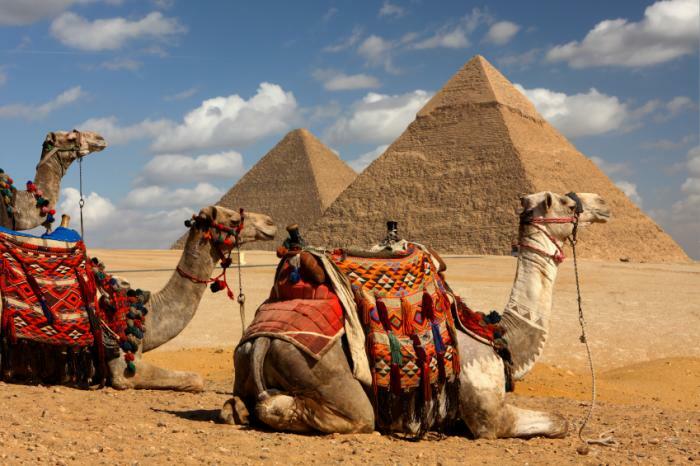 Enjoy all the best Egypt tour packages has to offer and don’t forget about the hypnotic shores of the red sea, also the immortal city of Alexandria where glory takes its finest form. You can choose one of our stunning Egypt holidays packages starting from 4 days Egypt tour packages to 7 days Egypt travel packages, or if you have a planned trip to Egypt or prefer to customize your Egypt tours please give it touch and contact us via Egypt Tailor-Made Holidays.